Hello and welcome to the website of guitarist and composer Martin Byatt. As well as being a regular performer Martin also composes and arranges music for the guitar. He is also much in demand as a teacher and has been involved in several West End theatre productions. 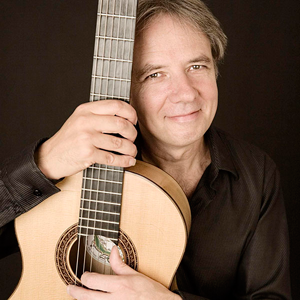 Martin is a member of various duos and trios including “Zaramba” and “Guitars Unlimited” and a collaboration with the mezzo soprano Susie Holmes.